Hard to resist - submitting to a book prize competition - This is from The Sundress Blog - please visit them - I know I said I wouldn't enter anymore contests but this one sounds good.... in a sarcastically humorous way - they are joking right? Right? Note: Winner does not receive actual trophy. Thank you for your interest in the It’s Awesome To Win and It’s Awesome to Lose Book Prize from the University of Pobiz Press. We take pride in our reputation for being the most transparent book contest in the publishing world, so please carefully review the following information to learn about our manuscript guidelines, ethical standards, and reading/judging process. Authors who wish to enter our contest should familiarize themselves with our catalog. We encourage you to buy at least three books in each genre we publish. We accept submissions in poetry, fiction, nonfiction, graphic narrative, and multimedia sculptural affirmation. Please note that we are not interested in translation, genre, or social issues. To preserve anonymity, all submissions are read blind. We endeavor to avoid our colleagues to the point that we cannot recognize their work without first and last name attached. Current students, former students, close friends, spouses, lovers, and housekeepers of the judge are allowed to enter, but to ensure fairness, we keep the judge drunk on whiskey throughout the process. Manuscripts should be stripped of all identifying information prior to submission. Entrants with immediately recognizable names will not be disqualified; instead, we will personally remove the information and pass their manuscripts to our judge, unread. We only accept single-author manuscripts accompanied by a statement affirming the work is the intellectual property of the author or untraceably plagiarized. We are neither copy editors nor designers and therefore expect winning manuscripts to be of the highest, publishable quality prior to entry and accompanied by print-ready cover art converted to CMYK color space at a minimum of 300 dpi. Manuscripts should be composed on a computer running an up-to-date version of Ubuntu, Debian, Fedora, or Red Hat Enterprise Linux; triple-spaced with titles in 13-point Neue Helvetica eText, body text in 10-point Adobe Garamond, and table of contents in 16-point Impact; conform to W3C’s XML 1.0 specifications; and be saved in MS Works (.WPS) format. Improperly formatted or incomplete submissions will not be read. Due to budget cuts, we can no longer receive manuscripts via postal mail. However, you may use our secure Russian e-commerce site to pay your entry fee. Entry fees operate on a sliding scale relative to the likelihood of the title being made into a movie, selected for Oprah’s Book Club, or awarded a high-profile prize by a panel of anonymous judges who, for professional reasons, identify as cis white men. Nonfiction fee of $45 includes $25 entry fee plus $20 for printing your electronic entry. Fiction fee of $55 includes $35 entry fee plus $20 for printing your electronic entry. Poetry fee of $55 includes $45 entry fee plus $10 for printing your electronic entry. Graphic narrative and multimedia sculptural affirmation fee of $105 includes $55 entry fee plus $50 for printing your electronic entry. 51% of entry fees go toward the cost of the judge’s whiskey; 23.7% of entry fees are converted to small bills and used to fan our interns when they get overheated while carrying manuscripts from our office printer, 22.3% of entry fees fund future “investments”, and 3% of entry fees are spent on publishing and marketing our books. As you can see, we are committed to transparency. You may enter more than one manuscript. Each manuscript, however, must be accompanied by a separate entry fee, as well as an additional $20 overproductivity fee. Each entry entitles you to a 5% discount on a title in our catalog and thrice-weekly updates via our intern-staffed mailing list, from which you may unsubscribe for a modest fee. Authors at any stage in their careers are welcome to enter. However, we are more likely to select winners with Oscar-winning performances and/or established audiences of wealthy patrons. Semifinalists will be notified via Twitter; finalists will be notified via carrier pigeon. In the event that over 50% of our finalists are graduates of the Iowa Writers’ Workshop and/or residents of a New York borough, our interns will rank manuscripts based on the authors’ dexterity with shuriken and tequila limes. Winners will receive ten copies of their book, the option to purchase copies from Amazon at a 55% discount, and anywhere between $100 to $500 in prize money, depending on anticipated royalties and the continued support of CEOs who cannot scan iambic pentameter. Winnings will be distributed biennially. All authors are required to presell a minimum of 150 copies of their books, at least 100 of which must be purchased by individuals who are not friends or family of the author. Each presale must be accompanied by a notarized statement of relationship witnessed by a seventh son of a seventh son. The presale requirement may be waived if you pay 80% of the printing costs for your book. We reserve the right to withhold prizes in any given year, should we deem all submissions unworthy of publication. We will not, however, refund entry fees as they will have been spent on Kentucky bourbon and Toyota Camry lease payments long before we announce semifinalists. Thank you for your support of the University of Pobiz Press. We look forward to receiving your entry! Les Kay holds a PhD from the University of Cincinnati’s Creative Writing program and an MFA from the University of Miami. His poetry has appeared in a variety of literary journals including Whiskey Island, Sugar House Review, Stoneboat, Menacing Hedge, Third Wednesday, Santa Clara Review, The White Review, PANK, South Dakota Review, and elsewhere. He lives in Cincinnati with his wife, Michelle, three dogs, and their collective imaginations. His chapbook, The Bureau, is forthcoming from Sundress Publications. T.A. Noonan is the author of several books and chapbooks, most recently The Midway Iterations (Hyacinth Girl Press, 2015) and The Ep[is]odes: a reformulation of Horace (Noctuary Press, 2016). Her work has appeared or is forthcoming in Reunion: The Dallas Review, Menacing Hedge, LIT, West Wind Review, Ninth Letter, and Phoebe, among others. A weightlifter, artist, teacher, priestess, and all-around woman of action, she is an artist-in-residence at Firefly Farms, home of the Sundress Academy for the Arts. 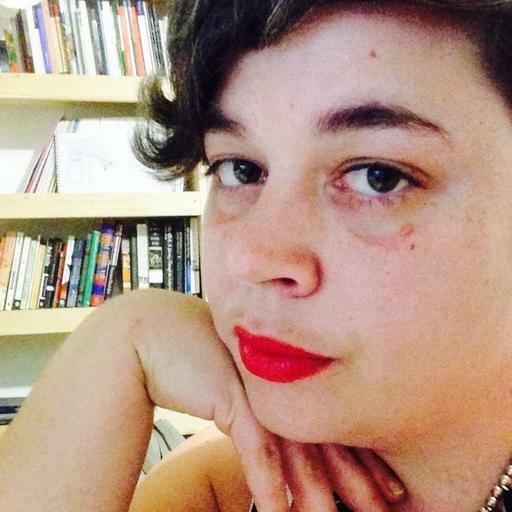 Additionally, she serves as the Vice President and Associate Editor of Sundress Publications.